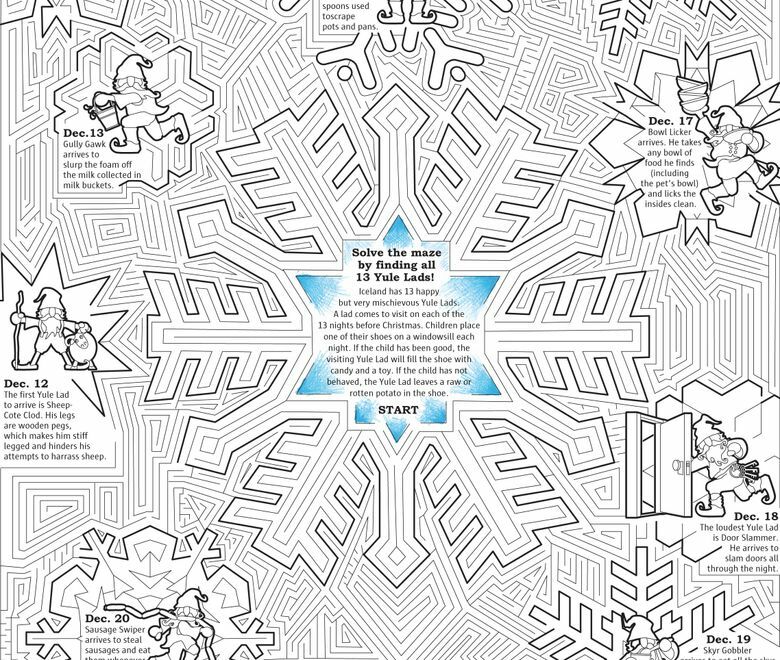 Work your brain muscles with this challenging and educational holiday maze. Exercise your brain over the holidays with our fiendishly clever maze (download the PDF here), created by Seattle Times lead news artist Mark Nowlin. You might learn something at the same time: The maze contains facts about The Yule Lads, 13 figures from Icelandic folklore who reward good children with gifts and bad kids with, well, stuff nobody wants. Enjoy!